"Spawn #200" Sells out! Features work by artist Michael Golden! Great Artistic Cast All the Way Around, Kids! Our friend Richard Boom at Broken Frontier, recently published this great article about the success of "Spawn #200," which features artwork by Michael Golden. In fact, Golden did the layouts for most of the book. In addition to Michael, the rest of the artist line-up is also top-notch. Congrats to Todd McFarlane on the success of his series, and being one of the only independent comic books to ever reach the 200 mark! I think the world of Todd, and I'm so happy to see this! It's an issue too large to contain -- and an issue too hot to keep on shelves! Spawn #200, the landmark issue of the top-selling independent comic of all time, has sold out at the distribution level! Image Comics is rushing comics' best value in years back to the presses. The second printing of SPAWN #200 will be in stores February 9, so mark your calendars if you missed the first printing! 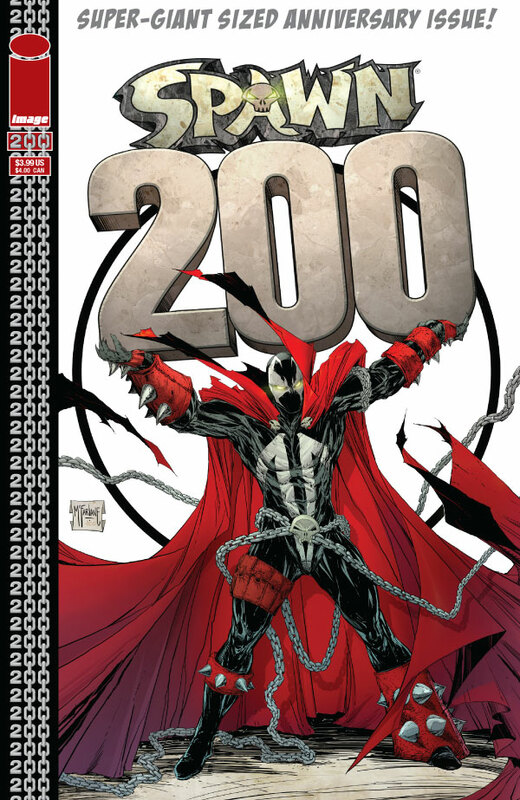 "Obviously, it's great to have any book you create sell out," says creator Todd McFarlane, "but given the high initial orders of the first printing of SPAWN #200, combined with the fact that this is our big bicentennial issue, it only makes the sellout that much more rewarding. I'd like to thank both the fans and the store owners for making this possible." 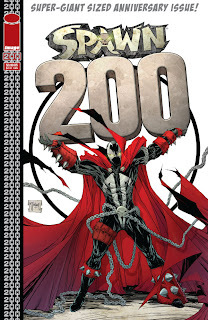 SPAWN celebrates its 200th issue in high fashion, with an all-star lineup: Greg Capullo (HAUNT, THE CREECH), David Finch (CYBERFORCE, Batman), Michael Golden (The 'Nam, Micronauts) Jim Lee (All-Star Batman and Robin, Batman: Hush), Rob Liefeld (YOUNGBLOOD, Deadpool), Marc Silvestri (THE DARKNESS, CYBERFORCE), Danny Miki (SPAWN, Avengers) and Ashley Wood (HELLSPAWN, Zombies vs. Robots) all contributed to the issue. 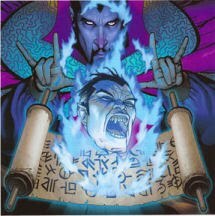 Robert Kirkman (THE WALKING DEAD, HAUNT) even wrote and penciled an origin story for Omega Spawn! In this landmark issue, the most ruthless villain in the Spawn universe returns. Can Jim Downing survive a face-to-face confrontation? Downing will battle his most fearsome opponent yet and get answers from an astonishing source, as two fan-favorite characters make a glorious return in this double-sized issue. SPAWN #200 Second Printing (DEC108009), a 56-page full-color comic book for only $3.99, will be in stores February 9, 2011. Further, 2011 will be a big year for SPAWN: New series artist Szymon Kudranski and writer Will Carlton are already several issues ahead. Issues 201-205 will be coming out bi-weekly, to build on the momentum of the 200th issue. SPAWN 201 (JAN100417) will be in stores January 26; SPAWN 202 (FEB100348) will be in stores February 9; SPAWN 203 (NOV100471) will be in stores February 23; SPAWN 204 (DEC100493) will be in stores March 9; and SPAWN 205 (JAN110621) will be in stores March 23. Exclusive Interview with Nick Cardy-- On the new book from Eva Ink!! 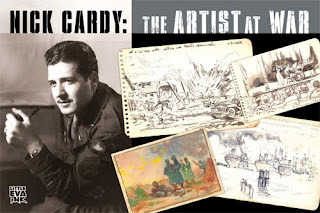 I am so excited about my new project at Eva Ink: "Nick Cardy: The Artist at War." This book focuses on Nick's time in the army during World War II and the sketches he kept at that time. 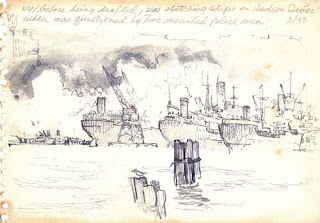 Instead of a camera, Nick captures his experiences with a notepad and pencil, and a small box of watercolors, chronicling a time and place in history for us all. The book also features a DVD on Nick, talking his career and experiences, and comes in a sketch edition and signed edition. 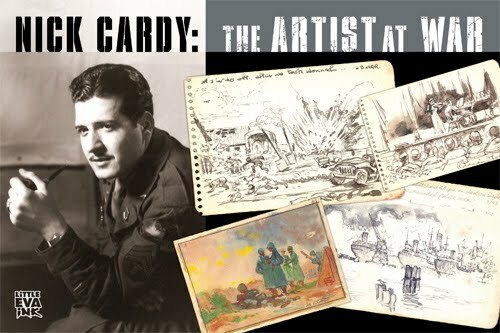 PREVIEWSworld Brand Manager Sarah Martinez conducts an exclusive interview with the legendary Nick Cardy to showcase his amazing career and life’s work which are highlighted in the new book “Artist At War HC” with DVD insert. Thrilled at the opportunity to speak with Mr. Cardy, Martinez asks the comic legend about his past comic work, as well as his efforts and experiences with the US war effort during WW2. Sarah Martinez (SM): Mr. Cardy, you’ve gone through a number of pen names through your career: Ford Davis, Nick Cardy, and Nick Cardi, but no matter how you signed your work, your pencils, inks, and layouts are distinct and praised. For new readers, please tell us some of the titles you’re most known for and what kind of work you did on each of them. Nick Cardy (NC):Oh, heh, well, I suppose I’m known best for my work on Teen Titans. And Aquaman. And Bat Lash. Maybe not as well known for Bat Lash, but that was some of my favorite work. Mostly I did pencils and inks — I liked inking my own work. It gave me a feeling of completion and it usually came out the way I’d originally intended. SM: Even now, the current crop of young talent aspires to work on any of the series you pioneered with DC Comics, but you too were once a ‘young talent.’ How old were you when you started? Where did you work, who inspired you, and how? What feature was your ‘first in print’ and what was it about? NC: Well, the first work I got was with Will Eisner when he had the studio with...Iger, Bill Iger. That was around 1939, 1940. I was 18 and 19. I worked on [the] Lady Luck [strip] which was four pages a week. That was a color supplement that was inserted into the Sunday Papers. I was Ford Davis then — that wasn’t my pen name, that was the pen name of anybody who worked on the strip, see? It came with the strip. Most of the guys I was working with were inspired by the great comics artists of the time, Alex Raymond, Milton Caniff, but I was following the great Illustrators into the Fine Arts; Leyendecker, Bob Peak, Al Parker. And classic artists like Rembrandt and Degas. SM: Looking back from a current perspective it’s easy to see what a pillar of comic history that Eisner became, but at the time that you worked for him, was there that same sense of awe and importance to the work coming out of his studio? What did your family think of your early work—or of you making comics at all? 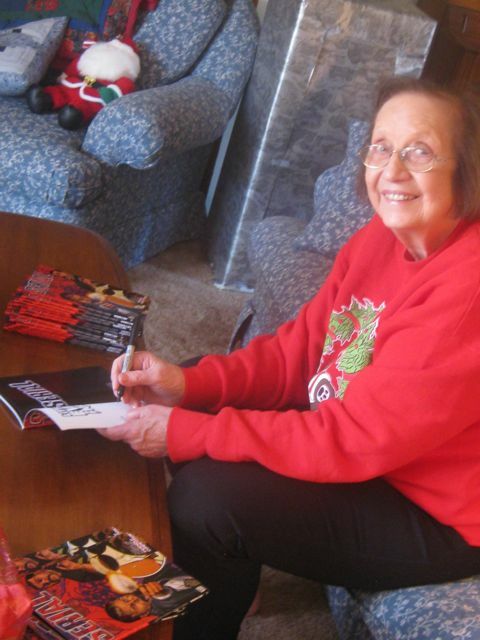 NC: Well, I had received lots of awards for art as a teen so my family was very encouraging. I had had my pictures published in the newspaper when I was 14. And I was making money, too, so they couldn’t complain. Heh. I started out at Eisner for $25 a week—a that was good money! Then I went to Fiction House which I found out was paying a hell of a lot more money. Fiction House was a company that had a large roster of characters that they published. I worked on various titles there; Rita Rio, Camilla, they had spy stories and jungle stories — you were never bored. SM: You would have been 19 when WW2 started, but you did not immediately enlist. What inspired you to join the war effort when you did? Had any of your family served in WWI? Were they any more comfortable with you being a solider than an artist? SM: When the decision to enlist was made, what branch of the armed forces did you choose? And how did your art skills affect your military career? NC: I was drafted on April 1st, 1943 and sent to Camp Blanding in Florida for basic training and maneuvers. Then I went to Alabama and then Little Rock, Arkansas. I was there when I met a bartender in Little Rock — he had been a bartender at the Stork Club in NYC — and I would do drawings for the bar, guys playing golf and such, you see. So people saw that I was an artist. Then there was a competition to design the insignia for a shoulder patch for the entire Division. It was this panther, see. I won. And that’s where this General saw me and took a shine to my work. He liked the idea of having his own personal artist. But there was no job called “Company Artist” so they had to give me something that would keep me around. So they put me in the Motor Pool. I didn’t even know how to drive! SM: When you were assigned overseas, where were you stationed? Did you speak the language there, or have much contact at all with noncombatants outside your base? Did you have many opportunities to draw those people and places? Nick Cardy: I was sent to England and they bounced me around for awhile, not really sure where to put me. I was zigging and zagging around. Then I got pleurisy and ended up in the hospital. When I got out they assigned me to the Tank Division and told me to find my way to the front. SM: Please talk to us about serving in a tank battalion. Were you assigned with a set group of soldiers? What was your job within the unit? Nick Cardy: I was the Assistant Driver. Have you ever been to Europe and seen all the corners of the buildings that are missing? That was me. We were the Spearhead Unit, Third Armored Division, in Belgium under General Rose. Thrown in without instruction or experience. I knew nothing. You learned on the job and you had to learn fast.There were guys getting killed out there. SM: How long were you deployed? During that time, what did you draw? How did you choose what to draw? 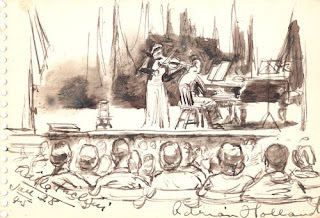 NC: When I went into the service, all my belongings and clothes were in a duffel bag: my artwork and all my art supplies,a tiny watercolor set, small sketch pads, and a small watercolor block. If things were quiet, I could sketch at the time—but when it got busy, when we were in action—those sketches were all done from memory. I made mental notes and would draw later. For long periods of time nothing would happen and I could draw—but then the whole world would explode around you. SM: Did the men in your unit understand or did they give you a hard time? Was this something you could do openly? NC: No, they would watch me, they all enjoyed it. They would pose for me and I would draw for them sometimes. They would take my drawings—they liked them. The nurses took a lot of my drawings. SM: You were awarded 2 Purple Hearts for injury during your service. Were you ever worried that an injury might keep you from drawing? After years in combat and years of sketching combat did you see the art as something you would return to after the war? 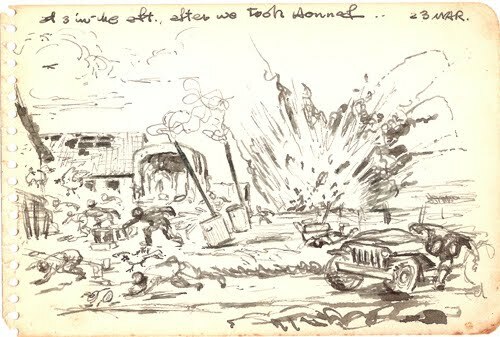 Nick Cardy: I had been injured first when I took some shrapnel in the leg from a German sniper. I went to the hospital and was treated for it, but I didn’t report it because people were being shot or killed all around us and I didn’t think it measured up to all of that, you see. 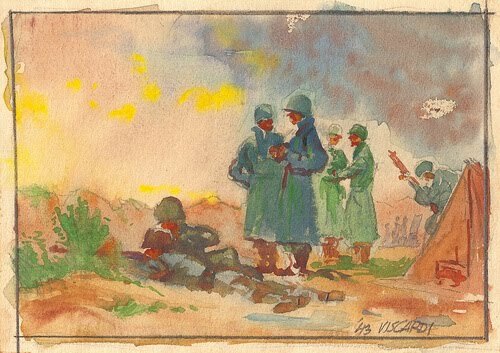 SM: Back home, many people have come to associate Bill Mauldin’s Willie & Joe with “WW 2 War Art.” How would you compare your work during the war and on your issues of war comics to that of Mauldin? NC: Oh, Mauldin was very, very good. Everyone loved that stuff. 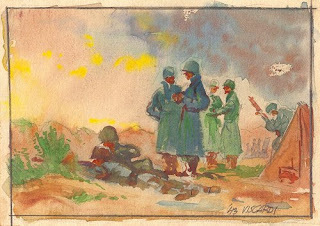 Mauldin was always about the war around [his two characters] Willie and Joe. What I was doing was recording what was happening to me, reporting the war that I was seeing and living. 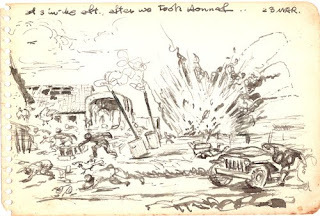 SM: There is no denying that your experience in a live combat setting influenced your ability to draw exciting action scenes and dynamic movement—but what in particular do you feel that your time in the military brought to your art? NC: I don’t really feel that it influenced my artwork per se. The only thing I really got out of it was when I would have a chance to go into the museums and look through the galleries there. I didn’t have much. I learned to work with what I had and improvise for what I didn’t. SM: Ultimately, the close of the war brought you home. How long did it take you to settle back into civilian life? What was the hardest part? And how did you get back into comics? NC: Several times in your life you have a moment — maybe the funeral of a relative or something — that puts a lump in your throat. One of my lump-in-the-throat moments was coming back from Europe. They sent us back on a ship, you see. And it was packed with soldiers. And a lot of them were sick. The weather had been rainy for days. And they told us that we would be coming in soon and lots of people were out on the deck, but it was so foggy you couldn’t see anything. And then suddenly, rising out of nowhere, out of the fog, the Statue of Liberty was right there before me. I got all choked up — I mean, the first thing I see, it’s the Statue of Liberty. I knew I was home. It wasn’t hard getting back to work. Right away I got a place in a studio with 3 other guys, one was my friend, Al Plastino. I had decided that I wouldn’t do comics anymore and focus on illustration. I worked on my portfolio for a few years, getting work doing covers and illustrations for the crossword puzzle magazines. But then the magazines stopped using illustrators, photography was much cheaper and faster! I did Tarzan and Casey Ruggles and then did some occasional jobs for DC--Gangbusters, Tomahawk, Congo Bill. Then they hired me on Aquaman and I worked there steadily ‘til about 1975. SM: As a U.S. war veteran who used his talent even during war time, is there anything you’d like to say to our men and women currently serving? NC: Thank you for doing what you do. SM: Thank you sir, for your time and your effort: in this interview, in the comics industry, and on behalf of this country. Laisse les bon temps rouler! Michael Golden Art Part of VIP Pack for Wizard New Orleans! Hope some of you will come down and join in the celebration for the first ever Wizard New Orleans. New Orleans is one of the most unique cities and the United States, and if you haven't been there, you don't know what you are missing! Michael Golden Print Part of VIP Pack: Limited to 1,000 Copies! New Orleans--The Paris of the South, The Big Easy, The Crescent City! Vampire Central! --New Orleans is known by many names... so let's add host city of Louisiana's biggest comic-con to 'em, as Wizard New Orleans makes a riotous debut in just a few weeks! To make the event even more festive, renowned artist Michael Golden has been tapped by the folks at Wizard World to provide a limited VIP print for attendees at the show! Limited to 1,000 copies! Michael first broke onto the comic scene working on such DC Comics titles as Mister Miracle and Batman Family. In 1978, he made a splash with his work on The Micronauts. 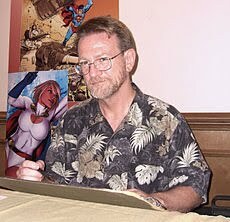 He drew a number of Marvel series throughout the 1970s and 1980s, including Doctor Strange, She-Hulk, the Howard the Duck black-and-white comics magazine, and the highly lauded, The 'Nam, as well as G.I. Joe, ROM, Nomad, and The Saga of Crystar, Vigilante, Wonder Woman and far too much to mention here! As a artist/writer/creator Michael Golden, is co-creator of the X-men's Rogue character, Spartan X and Bucky O'Hare" and is known worldwide for his groundbreaking story work, and is counted as one of the best cover designers and storytellers in the business. Recent books covering the colorful life and amazing art of Michael Golden include a Manga version of the "Bucky O'Hare" series, created with Hama, as well as the top selling art retrospective "Excess: The Art of Michael Golden," written by Renee Witterstaetter, which sold out and has gone into a second printing, as well as his recent sketchbook "Heroes and Villains," and the just released NEW sketchbook, "MORE Heroes and Villains." In addition, Woodcrest Productions/Eva Ink has also just released a two part candid DVD on Michael and his career, entitled "Creator Chronicles: Michael Golden," featuring an extensive interview and tutorial with the creator. Be looking for future projects as well, including the upcoming "Spartan X Trade paperback!" And Michael's work on "Spawn 200. "As well as some secret projects for IDW and DC Comics. As part of the celebration for Wizard New Orleans, the special 11x17 print by Michael Golden will be available at his table in artist alley both days of the show! Just present your VIP badge. Remember: Limited to only 1,000 copies!! So don't delay getting those VIP passes, ya'll. Wizard World New Orleans takes place January 29th and 30th at the Ernest M. Morial Convention Center. Guests from the world's of comic, film and television joining the line-up with Michael Golden at the show include: Steve Scott, Mark Texeira, Adam West, Phil Jiminez, Mike Grell, Bill Sienkiewcz, Arthur Suydam, Cameron Stewart, David Mack, Yanick Paquette, Rob Liefeld, Peter Tork, Tommy Castillo, Kevin Stokes, Billy Dee Williams, Renee Witterstaetter, and many more. So, Laisse les bon temps rouler, and see you at the show! 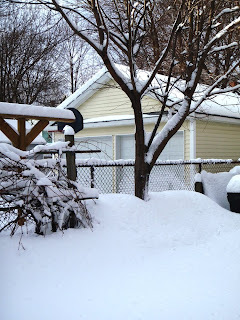 So, when I first moved to New York, the snow was amazing to me! And it was the year of one of the worst blizzard's ever! I was woefully unprepared I recall, and my friend that I knew there presented me with snow books and gloves for the winter, and pointed forthwith to the Burlington Coat Factory. 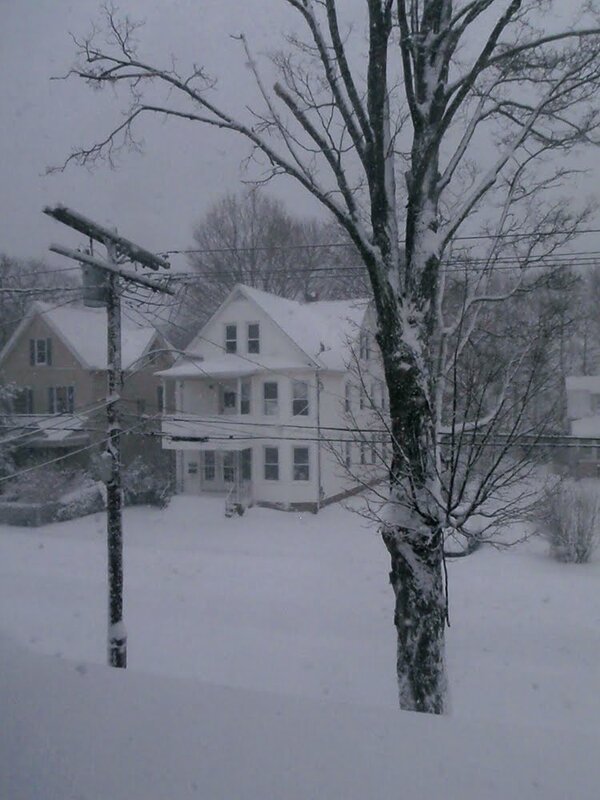 I have never hated the snow like some New Yorkers. When it starts to snow and the city calms down and everything is beautifully quiet I love it. The layer of snow makes even a dented trash can look gorgeous! And when it starts to turn to black tar, and the gutters become rivers we must traverse, I usually take it all in stride. It's the price we pay for the magic. 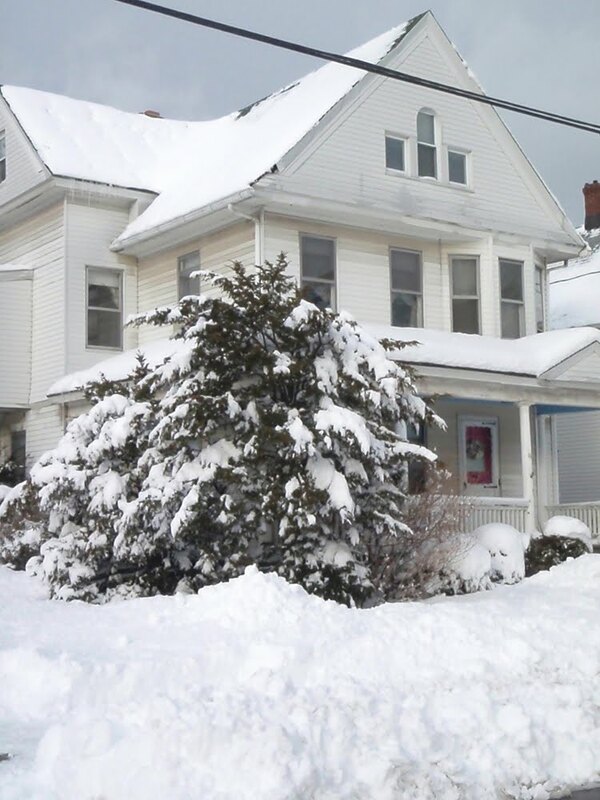 So, while I'm here in CR, I was sent some pics of what my house looks like covered in white. Hum.. some snow ice cream sure would be good! Costa Rica is a country of extremes, one day at the base of a volcano, fishing for Machaca in the Arenal Lake, the next I'm in Monteverde in the cloud forest, after having traversed 6 hours of the worse roads I've ever seen in my life, but forgetting it all when I'm on a zip line above the forest floor, flying through the mist, and from there to the black sand beaches of Jaco. It really is a marvelous country. Here, a pic of moi in the Monteverde Cloud Forest on the zip line. I particularly liked this one. 17 zip lines, some extremely long, going through the clouds... magical experience. But, it was COLD (as you can tell by my red nose). Here are what the Machaca look like that I've been catching down in Costa Rica! Talk about some scary looking fish! 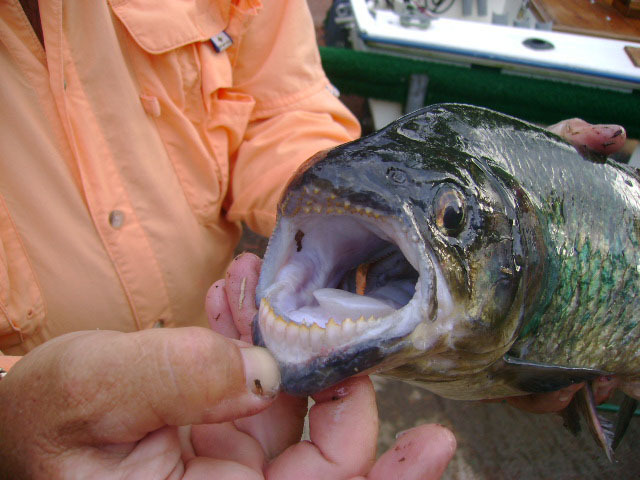 And....I didn't even know they had these teeth or know what they were until I hooked the first one, peeled back those scary lips and saw those razor sharp teeth. They DO get really big as well!! This is not my photo. This one is from the internet, but is representative of what they look like. 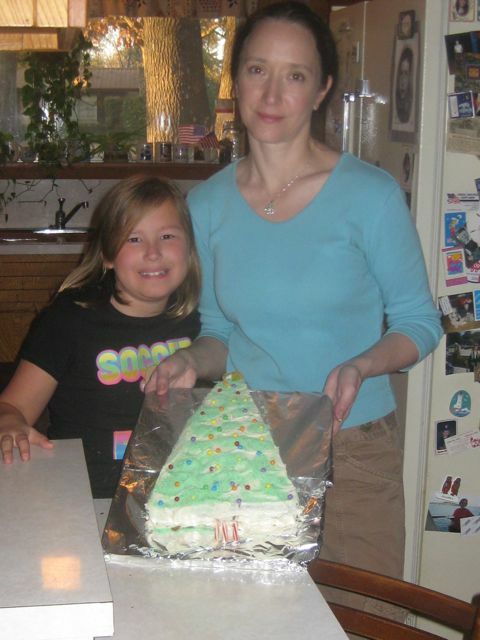 Christmas 2010! Forget Santa's Helpers-- How About Eva Ink's Helpers!! 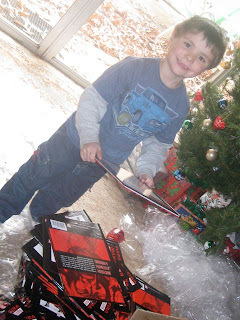 SOOOO much work to do at the end of 2010... and don't get me wrong, I'm not complaining, but with 800 books to get to Diamond before December 31st, I had no choice but to have shipments sent to Texas (where I'd be for the holidays), and process the books while there. The only other choice would have been to delay my trip, and we couldn't have THAT! It turned out to be alot of fun though as all my great nieces and nephews pitched in, as well as my Mom, and we got the books out in plenty of time.